Indie music listeners seem to have finally fully embraced the use of electrified sounds in rock. Judging by more mainstream acts like The 1975 and CHVRCHES (whose wildly-successful new albums make use of various electrified sounds), the subtle stigma associated with more electrically-manufactured sounds seems to have evaporated. With big names making more electrically-charged music (pun absolutely intended), listeners have finally come to realize that electronic doesn’t always equal “happy.” Just because you can dance to a song doesn’t make what it’s saying any less valid. Which is paying off for smaller acts like Kid Cadaver, an LA-based indie rock trio made up of Ray Venta (vocals and bass), Jeremy Harris (guitar, backing vocals, vox), and Kenzo Cardenas (drums). 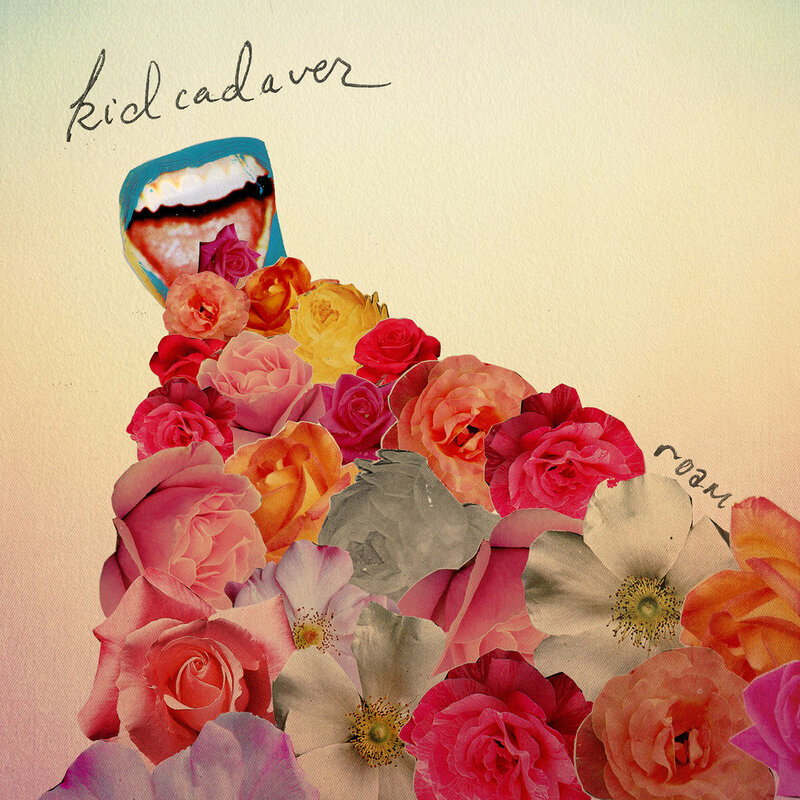 Kid Cadaver has been blending more traditional indie rock with electrified sounds since the 2013 release of their first EP, the aptly-titled Kid Cadaver. The trio’s second EP, Roam, was released in August of last year and has already garnered tens of thousands of listens on both SoundCloud and Spotify. 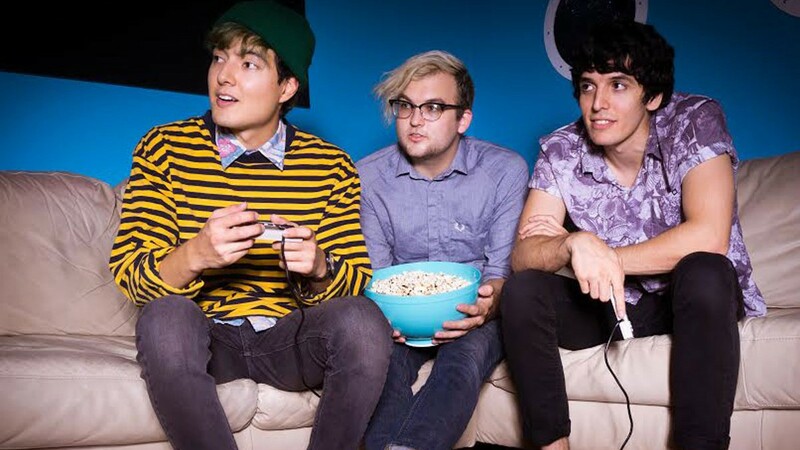 Roam is more of the fast-paced indie rock making use of electric sound that Kid Cadaver is known for. It takes the band’s tested formula of new sounds plus traditional rock equals infectious melodies to a new level. The cover is unabashedly cheerful, with a collage of roses bursting out of a blue-lipped mouth. To the careful eye, it may be either yelling or vomiting–but either way, it’s grabbing attention. over and over in a mile-per-minute cycle as the song closes in a whirl of electric-sounding feedback. Lyrically, this should be a depressing comment on the nature of grown-up “friends.” But the upbeat tone and keep-on-swimming guitar riffs literally keep the song moving (west? ), propelling the listener forward with Venta as he keeps on. Yes, he’s only human, but he’s mostly over it–and the song nudges the listener along without them even noticing. What you gonna do if I just go, go, go away? Envelops my mind and grins when they close. They’re subtly brilliant and not to be overlooked, and provide the perfect interlude before the final surge of the chorus. No these waves won’t take us. The repeated shouts of “no!” only serve to raise the song’s energy more as well as emphasize the fact that Venta is not giving up on this relationship. The waves will come, but nobody is going to drown. And with faded electronic noise and toned-down feedback, the EP ends. Which just means it must be listened to again, on repeat, to find those cavernous rise and falls of pure energy. What Kid Cadaver has done in Roam is point out that songs that are fast-paced, upbeat, and exploding with energy doesn’t mean they have to be necessarily gleeful or ironically somber. On the contrary, Kid Cadaver illustrates just how extremely versatile the use of electronic elements can be.